The RECAGE management structure benefits from the advise of experts outside the consortium with specific competencies, involved in the following Boards. From 1986 to date he works on several projects at the Institute of Biomedical Technologies of the National Research Council of Milan, for example: Italian Strategic Program on Neurodegenerative disorders; Guidelines for the diagnosis of dementia and Alzheimer disease of the Italian Society of Neurology. A retired clinical scientist (2015), pioneer in human non-invasive brain monitoring with PET, MRI, EEG and EMG. A cognitive neurologist with 40 years clinical experience in 3 European countries. From 2013 to date – Tenured Professor at the Ecole Polytechnique Fédérale de Lausanne. From 2013 to 2015 – the Executive Co-director of the Human Brain Project (HBP SP8), EU FET. As honorary positions, from 2015 to present – Tenured Professor ad hominem and associate physician, Université de Lausanne & CHUV, CH; from 2015 to date – Permanent Visitor, Cognitive Neuroscience Laboratory, DNC, ENS, Paris, France; from 2009 to date – Honorary Professor, Wellcome Department of Imaging Neuroscience, IoN, UCL, UK. He established the UCL department of cognitive neurology in London, the ENS department of cognitive studies in Paris, and the department of clinical neuroscience at the CHUV in Lausanne. Evidence of peer esteem in science is provided by an H-index of 192 (Google Scholar) by 4 competitively awarded international prizes, many international named lectureships and election to a number of academic societies worldwide. He has chaired international meetings and committees. National policy reports, international jury membership and chairs also provided evidence of his job-related skills. From 2000 to date – Head of the Division for Neurogeriatrics, Dept Neurobiol, Care Sciences and Society. From 2005 to date – Director Swedish Brain Power (Center for Early Diagnosis and Therapy Research for Neurodegenerative diseases – a Swedish Network). 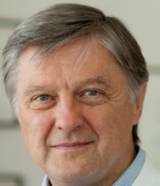 From 2000 to date – Chair of the EADC (European Alzheimer Disease Consortium). In 2008, Award was established in his name by Alzheimer’s Association, US, “Bengt Winblad Lifetime Achievement Awards in AD” to be given out every year at ICAD conferences. The DSMB will be responsible for assessing the performance of the clinical trial (i.e. recruitment, enrolment, adherence to protocol, data quality, and likelihood of timely trial completion) and for advising the Trial Steering Committee as to whether the protocol used should continue to apply or whether it should be modified based on findings from the monitoring process. 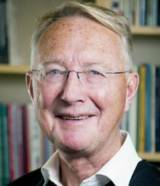 Knut Engedal, Professor emeritus of psychogeriatric medicine at the University of Oslo, MD, PhD and Senior Researcher at the Norwegian National Advisory Unit for Aging and Health). From 2015 to date – Senior advisor and chair of the working group to develop national guidelines for dementia work-up and treatment, Norwegian Directorate of Health. From 2013 to date – Chair of the regional Ethics committee for medical research, Health region south -east in Norway, 2 periods. 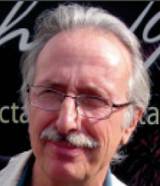 In 2007 he won the Hjelpestikkeprisen (Swedish Match Major Prize) for dementia research.